You know someone who does yoga. We all do. It’s clear they’re devoted to their practice. And many say that it changes lives and bodies. But how do you know if yoga is right for you? 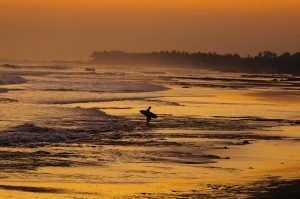 Your body knows, says Eoin Finn, who teaches the Yoga Mind Body Medicine course in Ucluelet, B.C. And it’s trying to tell you to practice yoga with these silent (or maybe not-so-silent) signs. Tightness means that you need some of the dynamic movements that yoga can provide. Short breaths can show that you are stressed. 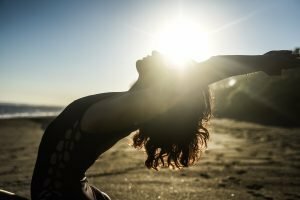 Learning how to properly breathe with yoga can help. And we’re not talking about going on vacation or to the spa – but on a regular, routine day. Read the rest of the article and interview with Eoin on Reader’s Digest Best Health. 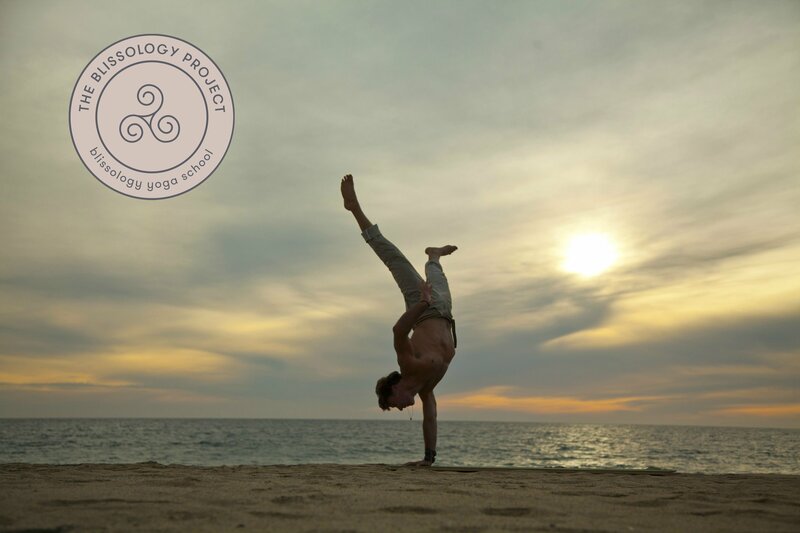 Welcome to the Blissology Project Online Calendar. The Blissology Project is about making happiness a habit by committing to 6 Big easy Bliss Commitments for 2 weeks. 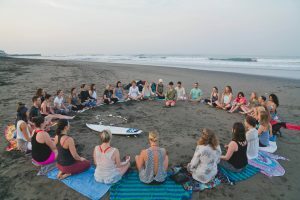 Don’t forget to join our Facebook group for our local Blissology Teachers our Global Blissology Project event. We’ll keep updating this calendar as we go so make sure to check in daily for a new dose of 6 Big Easy commitments. This is Day 14 of our two weeks to Commit to Bliss. The Blissology Project will run from Monday, January 22nd until Sunday, February 4th 2018. The last day of the Blissology Project 2018 is upon us! You’ve put so much time and energy forth to make happiness a habit in your life. Feel grateful for whatever commitment you were able to put forth and carry the good vibes you’ve cultivated into the rest of your life! *Note: We realize these are some challenging poses! Do your best with where your practice is today. If you feel your flexibility and strength just aren’t there today then insert a pose or two that feel good in your body. 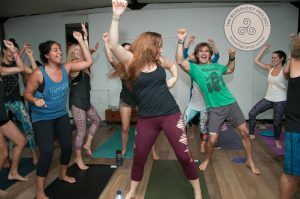 *Special Announcement: Eoin will be hosting a Facebook Live Super Soul Sunday yoga class. Tune in on the Blissology Facebook Page at 10am PST on Sunday, February 4th to get the good vibes flowing! 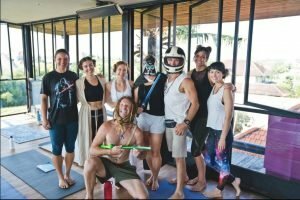 You’ve learned so many different meditation techniques and practices from an incredible array of Blissologists. Use your Wise Guide Inside to take 5-minutes to meditate on your own with whatever feels good! Go camping. Even if you can’t go today plan a trip in the near future, even if it’s just for one night. 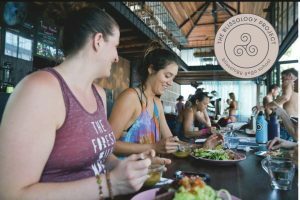 Consider it a celebration of your completion of the Blissology Project! 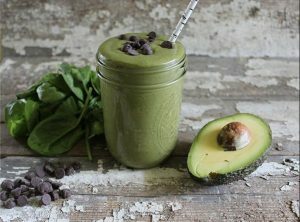 Tastes like dessert but healthy enough to drink for breakfast, or as a post yoga rejuvenator. Add all ingredients except the cacao nibs to a blender. Pulse until smooth and creamy. Then, add the cacao nibs and blend for another 5 – 10 seconds to break up the nibs into little bits. Reflection Meditation. In Savasana position place one hand on your heart and the other on your belly. Allow space for any feelings and emotions of the last two weeks of the Blissology Project to arise. Offer appreciation and gratitude for your commitment to this program in whatever capacity you were able to contribute. You are more than enough! Have a dance party! 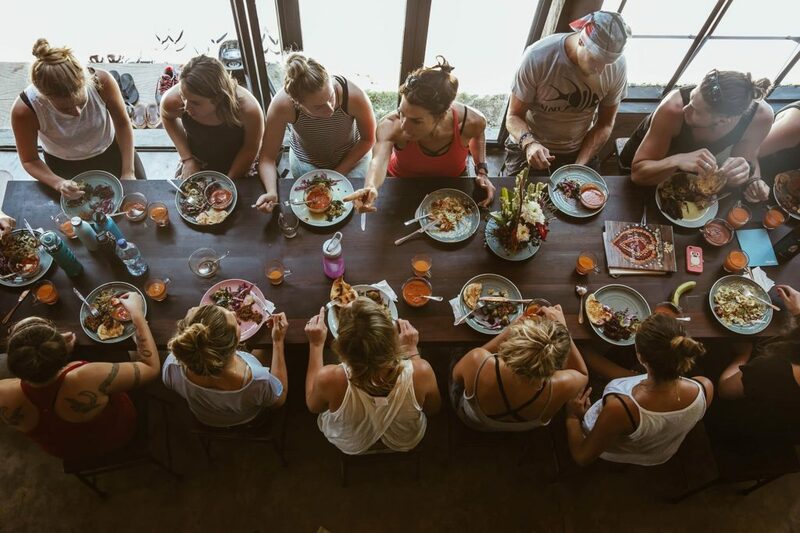 Either on your own, with family and friends, or with your Bliss Tribe celebrate your commitment to the Blissology Project. Turn on your favourite music and let loose! This is Day 13 of our two weeks to Commit to Bliss. The Blissology Project will run from Monday, January 22nd until Sunday, February 4th 2018. Don’t let the 13 sway you, this is a day full of all kinds of luck and blessings. You’ve almost made it to the end of the Blissology Project and you’re feeling embodied in the energy of the Upward Spiral. Let’s carry these good vibes forward today! Deepen into the groove of meditation with this 6-minute Meditation for People Who Don’t Meditate. Enjoy! Eat a meal outside today. Even if it’s cold go for a walk with a warm thermos of soup. If it’s warm where you live savour lying on the grass or beach with the sun beaming down on you while you munch. This is both breakfast and dessert all in one and it is delicious. Pour hot water over chia seeds and mix thoroughly. 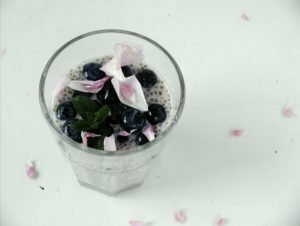 Soak in the refrigerator for several hours or even overnight to make a thick gelatinous chia gel. In a bowl or in a blender, mix in all ingredients. Blend lightly and taste. Adjust for sweetness. To serve, garnish with some cardamom powder, rose petals and mint leaves, or any seasonal fruit. When you find yourself in a bad situation today do your best to take a few deep breaths before reacting. Ask yourself, “What can I learn?” When you look back at the situation without emotion later what will you be grateful for? Cook a meal for a loved one. You could even make your favourite meal and share the experience of mindful eating together. This is Day 12 of our two weeks to Commit to Bliss. The Blissology Project will run from Monday, January 22nd until Sunday, February 4th 2018. Can you believe it’s the end of the second week of the Blissology Project. We’ve infused ourselves with so much Bliss and Joy let’s carry this forward into the last few days! *Note: We realize these are some challenging poses! Do your best with where your practice is today. If you feel your balance and strength just aren’t there today then insert a pose or two that feel good in your body. 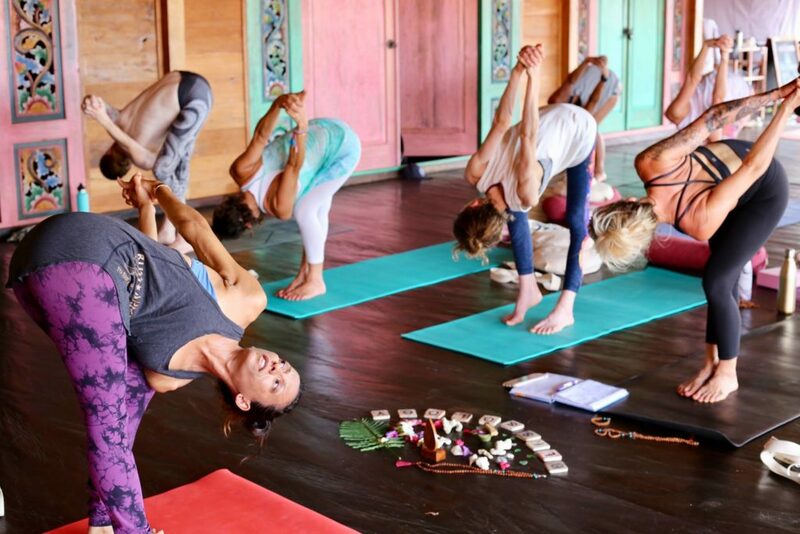 Bonus: Explore your body in new ways with this Full Body Opening and Peace Finding Flow with Blissologist Rhyanna Watson! Take a few minutes to relax and centre yourself with Blissologist Leanne Hembrow in her 6-minute Relaxation Meditation. Enjoy the Bliss Vibes! Browse the internet for pictures of the wonders of the world or current environmental issues. Bonus points if you visit one of these wonders or take action to help the environment. 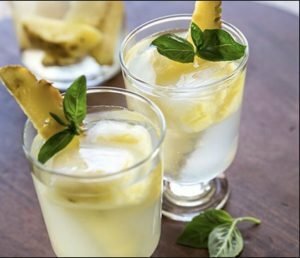 Full of digestive enzymes, pineapple in the warmer months detoxifies and cools the body off excess heat. The lime and cayenne also help to boost a sluggish liver. 1 pineapple, peeled, and cut into large chunks, discard the hard center. Bit of raw honey if you need it. Blend pineapple with tiny pinch of salt in a high speed blender. Add basil leaves, lightly blend. Gratitude requires humility, which the dictionary defines as being “modest and respectful.” Take some time to reflect on how you’re already a humble being and maybe aspects of your life where you could improve. Tell a joke to someone. Really take some time to research and find the perfect one. Then deliver it with skill and flare!